The nose is one of the organs needed to breathe. So, of course a nose disturbance will make it difficult for your Little One to breathe and this can affect his/her growth metabolism. Your Little One may not be able to say what he/she is feeling, especially when asked by his/her mother or doctor, the answer must be all "yes". This makes the physical examination is better to be used as the main clue for confirmation of diagnosis. Some nasal disorders can occur since your Little One was born, he/she sometimes shows symptoms of shortness of breath. The formation of an incomplete nostril, or the absence of a hole connecting the nose to the throat (choanal atresia), can occur alone or together with other congenital abnormalities. When you have a pregnancy checkup, an examination (antenatal) for your Little One involves all parts of the body, including the function and anatomy of the ear, nose and throat. Your Little One who has severe breathing difficulties from birth must be evaluated whether he/she has a congenital disorder or not. For newborn Little Ones, a stuffy nose can cause breathing difficulties which results in lack of oxygen so that the Little One appears blue. If it happens, the breathing will stop and if the duration is long it can cause growth disturbances. For a smaller Little One, nose disorders are often caused by infections that cause runny nose and blockage. Hypertrophy (enlargement) of the adenoid is a cause of nasal obstruction that is often found in the Little One. However, abnormalities of the head and facial bones (craniofacial) also cannot be ignored as a cause. Infections, allergies, and other toxic substances, such as cigarettes and vehicle fumes, often cause nose problems in your Little One. Viral and bacterial infections repeatedly attack the Little One because the immune system has not formed well. To support the health of the body, good nutrition must be consumed by your Little One as needed. Mommy can provide nutrients that contain nucleotides and lactoferrin which functions to increase antibodies to fight diseases and infections. Nucleotides are proteins that the body needs to strengthen the immune system and support the health of the digestive system. Healthy digestion means that nutrients will be absorbed and channeled properly, for example iron absorption will be maximal if the digestive tract is healthy. This will make the Little One to be more active and smarter. Nucleotides also play an important role in the formation of the metabolism of the Little One. Meanwhile, lactoferrin is a protein that binds to iron. Lactoferrin has various functions including as an antimicrobial, a regulator of iron absorption in the intestine, and a regulator of the body's immune system. Lactoferrin works on white blood cells to provide immunity. With a maximum immune system, your Little One will not be infected more severely from viruses and bacteria in the digestive tract and respiratory tract. He will be prevented from experiencing a cough, cold, and ARI (Acute Respiratory Infection). Samuel H Wald et al, as quoted from the book Pediatric Otolaryngology, examined and suggested that at least the Little One has a cold cough period for 6-8 times per year. The main causes are exposure to infectious infections in child care and exposure to cigarette smoke. The conclusion of the study is that the Little One who is entrusted at a child care and the Little One who is exposed to cigarettes (either from Daddy or Mommy or environment) has a high chance of suffering from recurrent rhinosinusitis and otitis media. 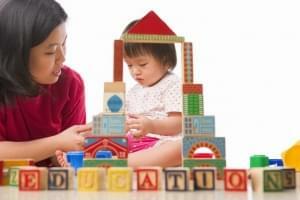 Another disorder that often occurs to the Little One is the result of his great curiosity. Wow, what is that? The answer is, to insert a foreign object into the nose. Avoid giving your Little One a small toy, because there is a risk of the small toy to be put into the nose, ears and even the mouth. 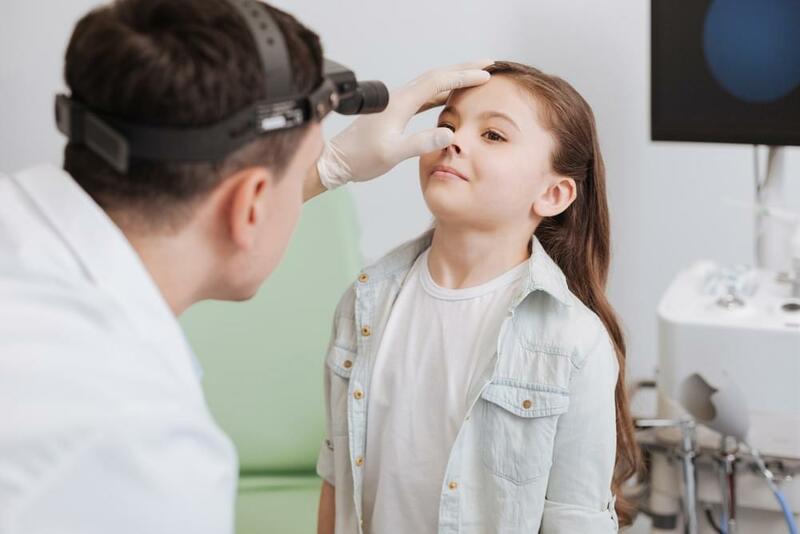 Not infrequently, cases of objects entering the nose are known later, so that there has been damage to the nose (nose injury, damage to the ciliary nose) already. Symptoms that often arise is that the Little One naturally has a runny nose, usually at one side of the nose, a foul odor, the Little One breathes through the mouth, and can be accompanied by symptoms of infection such as fever and he looks lethargic. After knowing the variety of nose disorders and their symptoms, Mommy must be more careful about whether or not your Little One is experiencing something. Follow the age guidelines contained in the toy packaging and make sure the toys that will be given to the Little One do not consist of small particles that can be inserted into the body cavity. And also, don't forget to take care of your Little One's health by providing nutritious food according to his/her needs. As the child is born and up to the age of 3 years old, the brain cells multiply to reach billions. The quality of the connections between these brain cells is determined by the stimulation conducted by the parents or the environment of the child. The formation of synapses relies heavily on adequate, good quality, and age-appropriate stimulation. One of the stimulations that can be done is by playing.